Members of the Tibetan parliament-in-exile are calling international attention to the case of long-imprisoned dissident Lodoe Gyamtso, who with a new sentence announced this week stands to become the longest-serving political prisoner since the Chinese takeover of Tibet in 1951. Gyamtso, 57, also known as Sogkhar Lodoe Gyamtso, had already served a total of 23 years in prison for two previous convictions before receiving the latest 18-year sentence following his arrest while protesting in front of the Potala Palace in Lhasa last year. His wife, Gakyi, was sentenced to two years, according to Tibetan exile groups. If Gyamtso's latest sentence is officially confirmed and he serves the full length, he will have served a total of 41 years in prison, making him not only the longest serving known Tibetan political prisoner, but the longest-serving political prisoner anywhere, according to the Guinness Book of World Records. News of the sentence was published Wednesday on the website of the Tibetan government-in-exile, known as the Central Tibetan Administration. Some members of the Tibetan parliament called during a session in Dharamsala on Tuesday for exile Tibetan communities to prioritize Gyamtso's case and bring it to the international stage. Gyamtso completed his first 21-year sentence in 2013 and was released from Drapchi Prison in Lhasa. Two years later, he was arrested again after protesting a Chinese government order requiring Tibetans to wear tiger and leopard skins during an official military ceremony in Nagchu prefecture. The Dalai Lama, the Tibetan spiritual leader, had urged a halt to the wearing of wild animal skins years earlier. 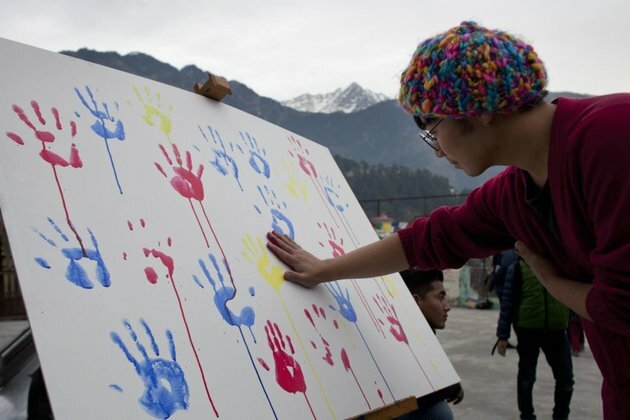 The Center for Tibetan Democracy and Human Rights, a Dharamsala-based human rights group, reported March 15 that Gyamtso and his wife had been 'secretly' sentenced. Three members of the Tibetan parliament-in-exile said that extreme security restrictions in Sog County and the surrounding regions made it very difficult to get detailed information.